Minn Kota® MK Series Freshwater Engine Mounts. Instantly transform your boat into a bona fide fishing machine WITHOUT taking up valuable deck space! When it's time to trade skis and wakeboards for rods and reels, Engine Mounts makes sure you're ready! 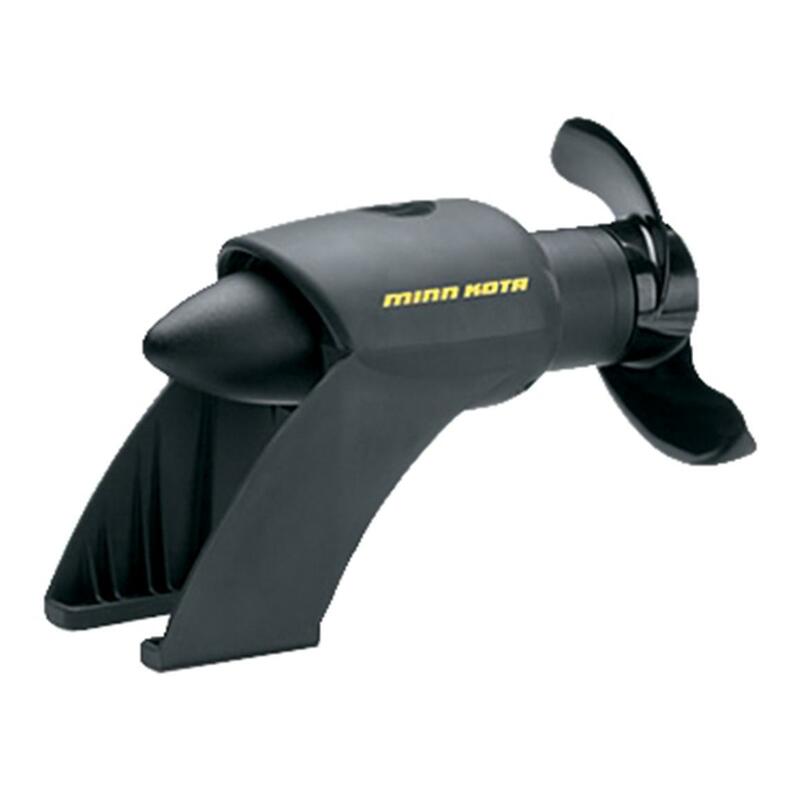 MK Series Mounts from Minn Kota® install easily and won't interfere with your motor's performance. The handy remote with 18' cord lets you control speed from anywhere on board... great for fishing off the bow. Picking your way through tight spots has never been easier! The MK Mounts come available in your choice 55 (MK55), 80 (MK80), or 101-thrust (MK101). Variable speed. 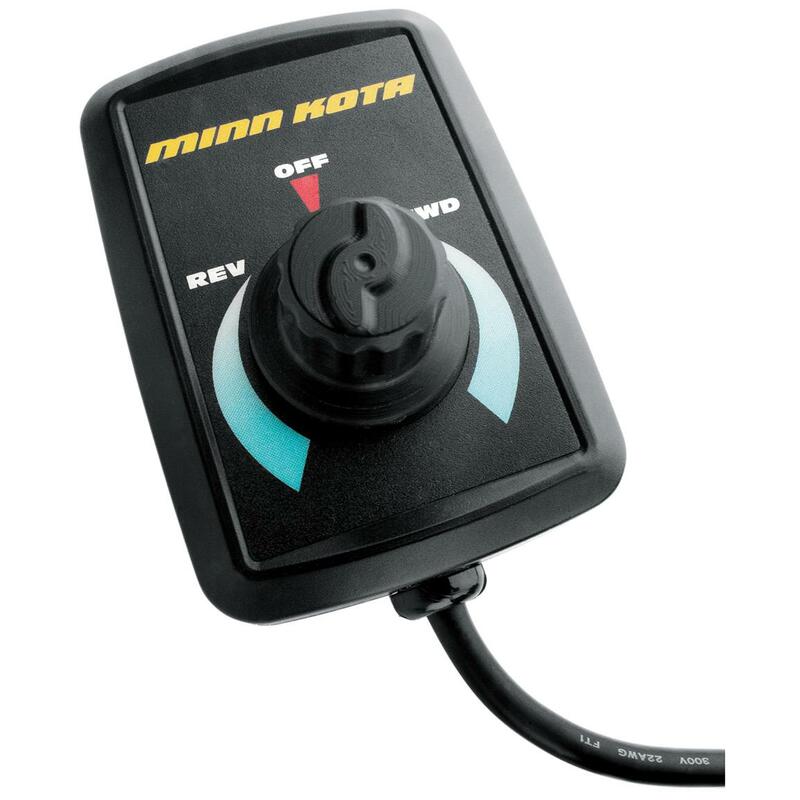 The 18' corded remote lets you control speed from anywhere in your boat! It can be mounted or handheld, and offers infinite variable speed control in forward and reverse. Digital MaximizerTM technology controls the draw of power at variable speeds, eliminating wasted battery life and giving you more time on the water! Powerful Weedless WedgeTM 2 prop can take on the thick stuff without battery-draining chopping and hacking. The swept-back, flared blades deliver unrelenting reliable performance.